During the days open to the public many companies will be showing off anime merchandise, new and upcoming anime, and tons of related content. 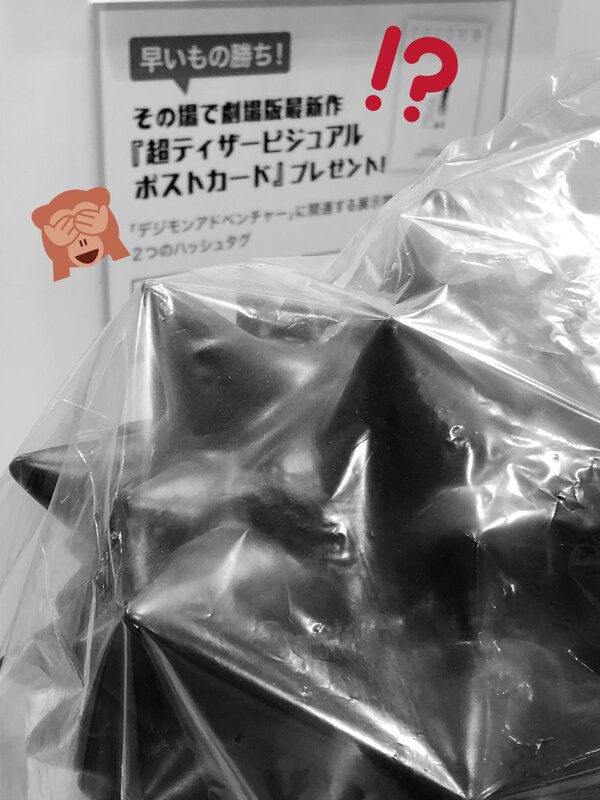 The tweet itself mentions Anime Japan starting, and they are preparing to show off at such a large venue, along with teasing about them showing the 'back' of something in the photos and that they can't see very well from in the pictures what is going on, but that there looks to be presents for people. They ask everyone to come visit them. 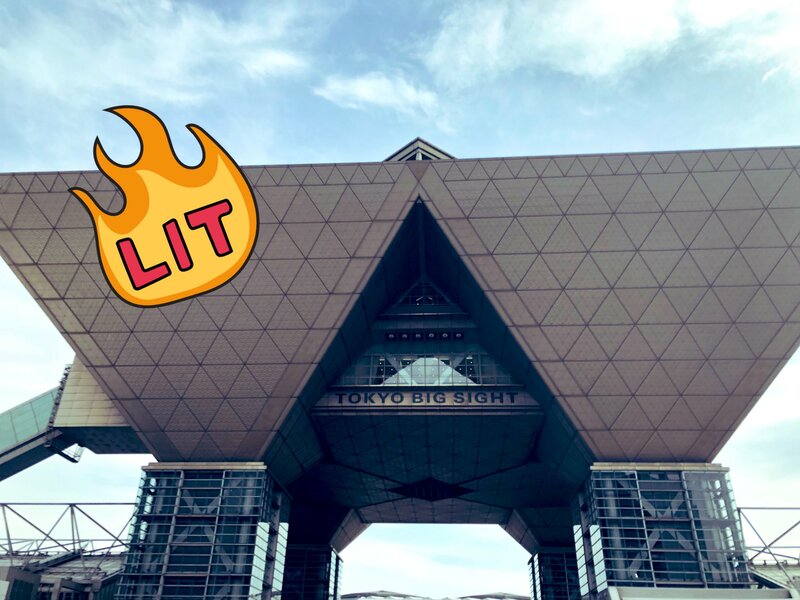 The first is an image of the location, Tokyo Big Sight. 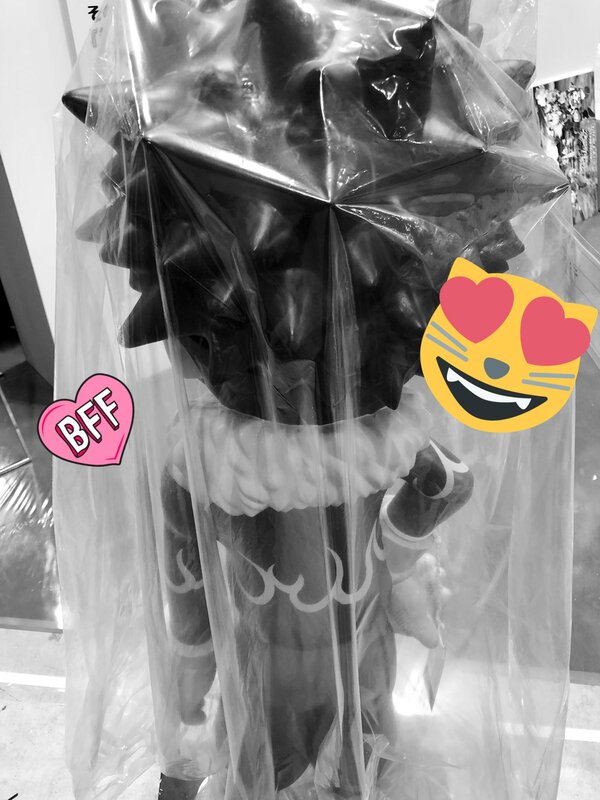 It's the back of a statue of Daisuke. This 'may' be the old display statue, but there aren't great shots of that one from behind, so it's hard to say if it's that or a new statue. Update- Based on the update below, it's almost certainly the old statue. The first photo also shows a flier for the upcoming Frontier Blu-ray box. In addition, we can see text behind in the second photo about them giving away postcards as presents featuring the poster art from the new Adventure movie. 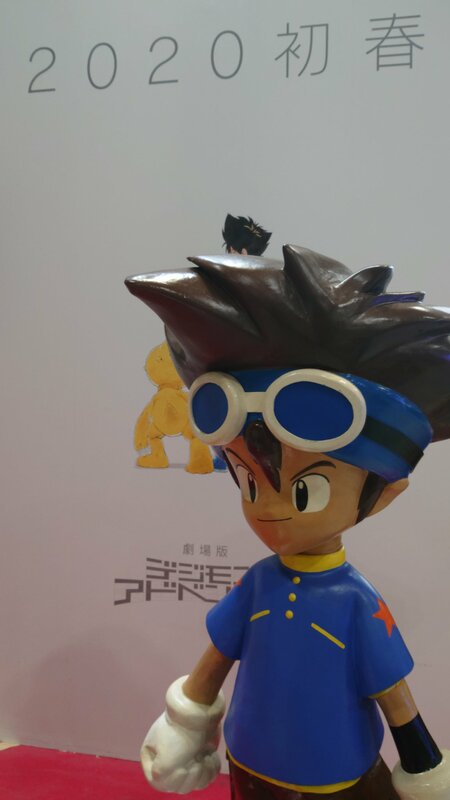 It'll be very interesting to see what the Daisuke statue is about, perhaps some kind of Adventure timeline display? Update- Images and info from the Adventure 20th account shed some additional details! 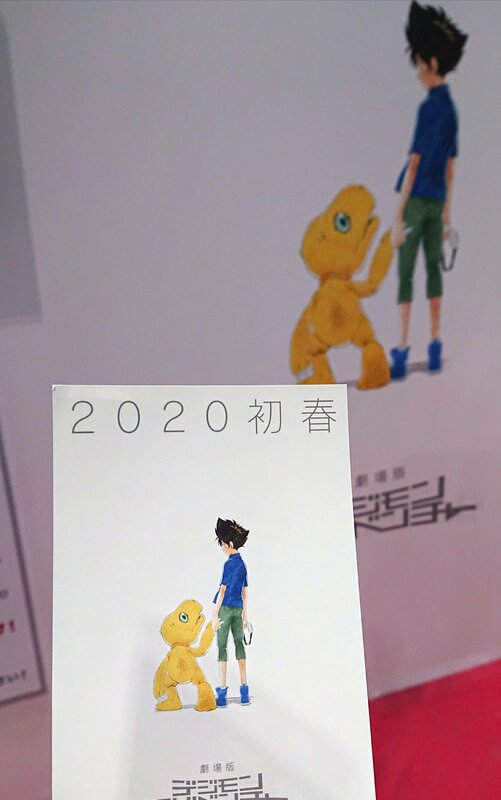 Based on the Taichi statue, it appears these are the original promotional statutes from the anime were first made, being called back into service once again! Then we get an image of a wall sized version of the 20th film poster, plus a better look at the postcard. 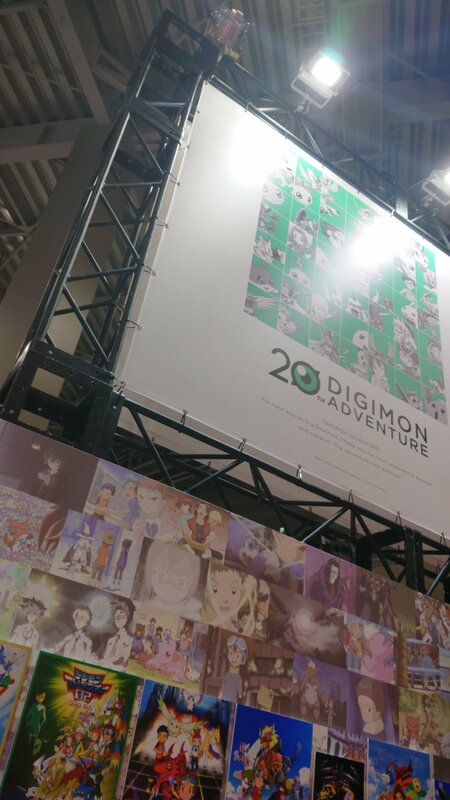 A big Digimon display corner in the Toei booth showing the history of the anime from beginning to now! Hopefully we get some great photos of all of this from the event.